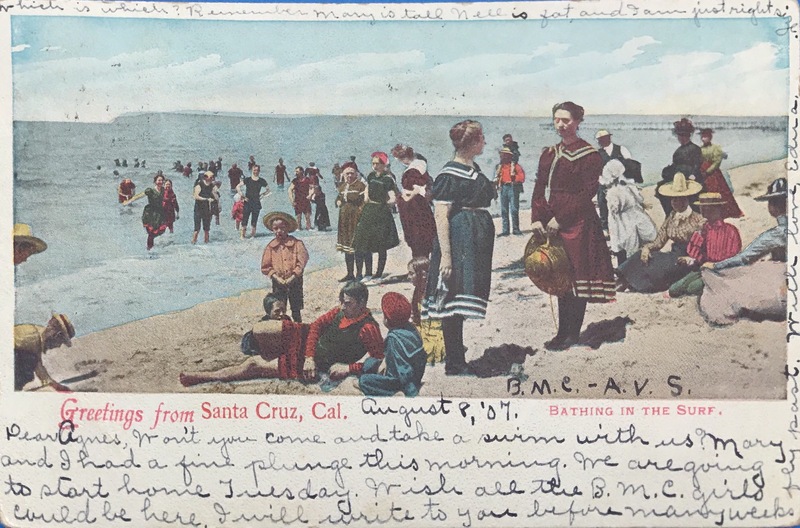 Someone was playing favorites when they sent this Santa Cruz postcard. 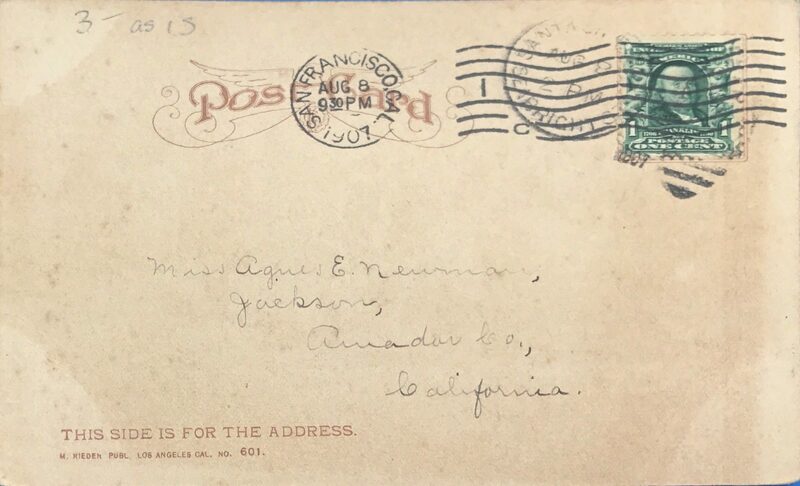 There are so many things going on in this postcard. From the Sombrero on the right, the wonky hand-painted and foggy horizon on the left and Goldilocks prancing in the surf while her jilted friends stand on the beach wondering why they even came on this trip. Which is which? Remember Mary is tall, Nell is fat and I am just right size. Greetings with a side of Guess Who from Santa Cruz. Greetings from Santa Cruz, Cal. Dear Agnes, Won’t you come and take a swim with us? Mary and I had a fine plunge this morning. We are going to start home Tuesday. Wish all the B.M.C. girls could be here. I will write to you before many weeks. 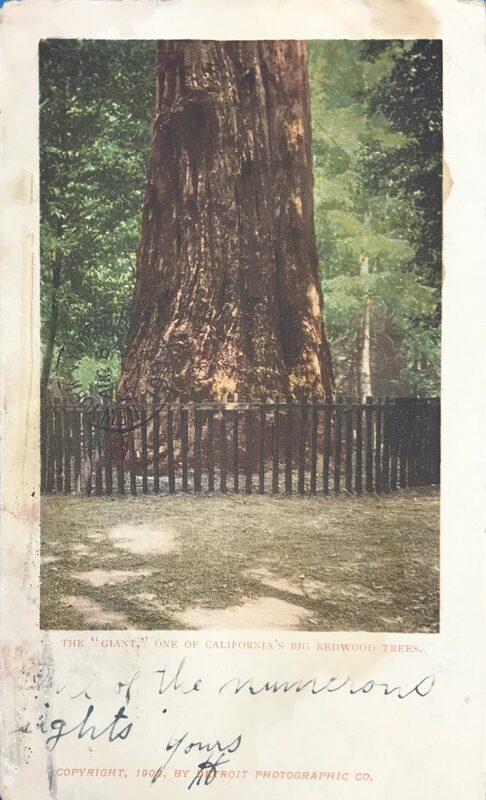 The “Giant.” One of California’s big redwood trees. 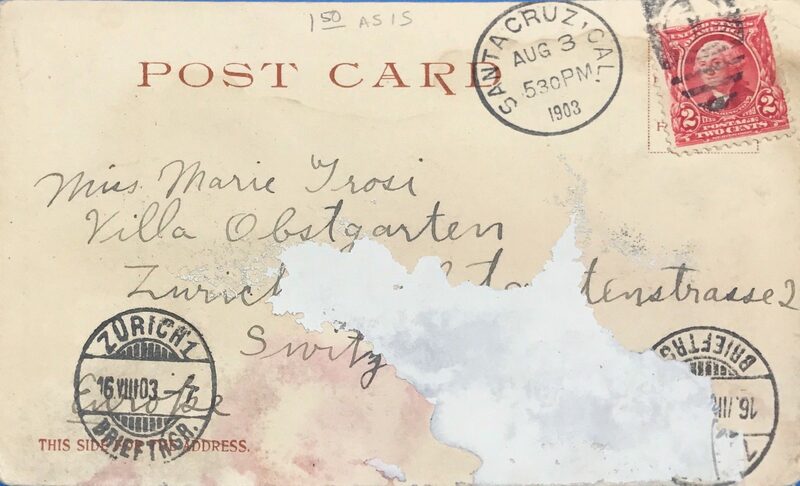 This postcard has three meter stamps, Santa Cruz and Zurich on the back, and New York N.Y. on the front.